The University of the Philippines Singing Ambassadors (UPSA) is one of the Philippines' foremost choral groups. Since its inception on August 12, 1980, UPSA has consistently brought honor and prestige to the country, having won Grand Prizes, First Prizes and various awards in competitions in Arezzo & Gorizia, ITALY; Debrecen, HUNGARY; Tours, FRANCE; Varna, BULGARIA; Langollen, WALES; Neuchatel, SWITZERLAND; Torrevieja and Cantonigros, SPAIN; Sopot, POLAND; Trenscianske Teplice, SLOVAKIA; Maasmechelen, BELGIUM; Wernigerode, GERMANY; Arnhem, the NETHERLANDS and Prague & Pardubice, the CZECH REPUBLIC. 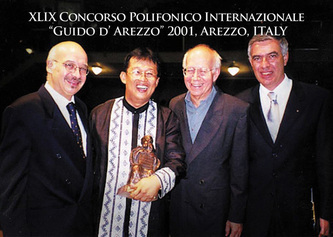 Its triumph in the “Guido d’Arezzo” Polyphonic Competition in 2001 in Arezzo, ITALY, qualified UPSA to compete in the 14th European Grand Prix (EGP) for Choral Singing in 2002, the most coveted choral prize in the world. 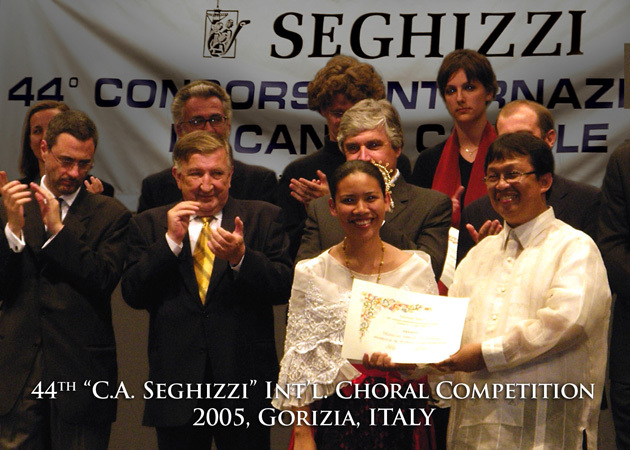 This makes the choir one of the only four Filipino choirs (with the Philippine Madrigal Singers, Ateneo Glee Club, and UST Singers) to attain eligibility to contend in the world’s most coveted choral prize. UPSA Conductor Dr. Ed Manguiat founded the group in 1980 as a freshman dormitory choir at the State University. He has studied under world-renowned choral musicians and trained under respected names in vocal pedagogy and choral conducting in the Philippines. 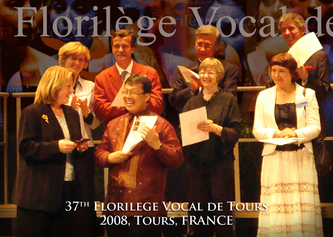 He has also won various international conductor's awards in choral competitions. 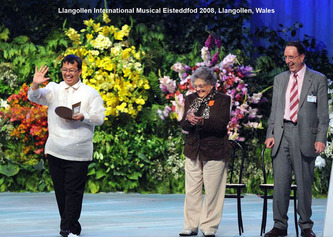 The UPSA was elevated to the HALL OF FAME at the 25th the 2012 ALIW Awards in the Philippines for winning its 3rd Best Choral Group (2011, 2010 & 2002) given by the Aliw Awards Foundation, the pioneer in giving tributes for excellence and achievements in the live entertainment industry. 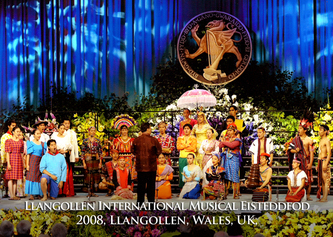 Also, UPSA was the official entry of the Philippines to the 2005 UNESCO International Music Prize in Paris. 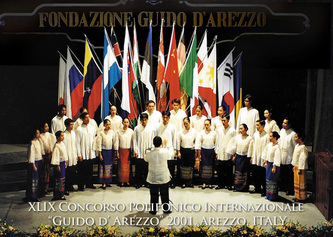 It was named the Best University Choir in 2012 and 2004 at the “Who’s Who in the Philippines” 19th and 27th Consumers’ Choice Awards, respectively. Similarly, UPSA was also chosen as Best Choir in 2011, 2010 and 2002 by the ALIW Awards Foundation which recognizes excellence and achievement in the live entertainment industry. In 2012, UPSA embarked on its 8th European Competitions and Goodwill Tour (July-September 2012). 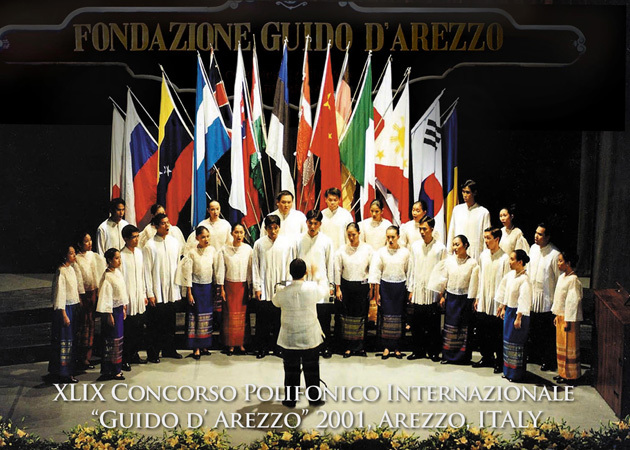 UPSA won two (2) 1st Prizes in the Romantic Period Music & Folkloric Categories, and a Second Prize in the Mixed Choirs Category during the 60th Guido d’Arezzo International Polyphonic Competition in Arezzo, ITALY in August. 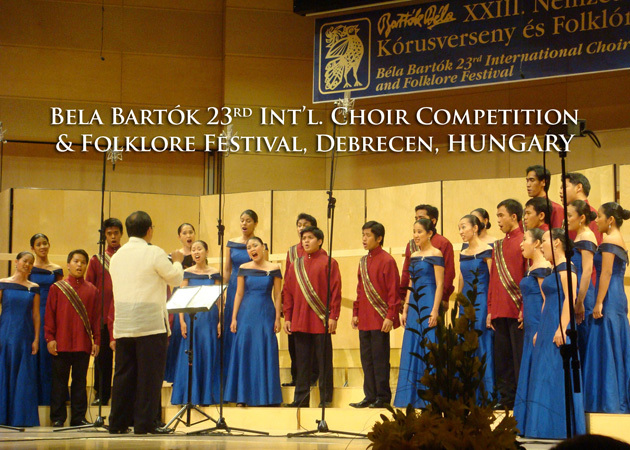 It also won 3rd Prize in the Chamber Choirs Category at the Bela Bartok 25th International Choral Competition in Debrecen, HUNGARY in July. Ed Manguiat also won a Special Prize for Excellent Conducting Performance in the same competition. 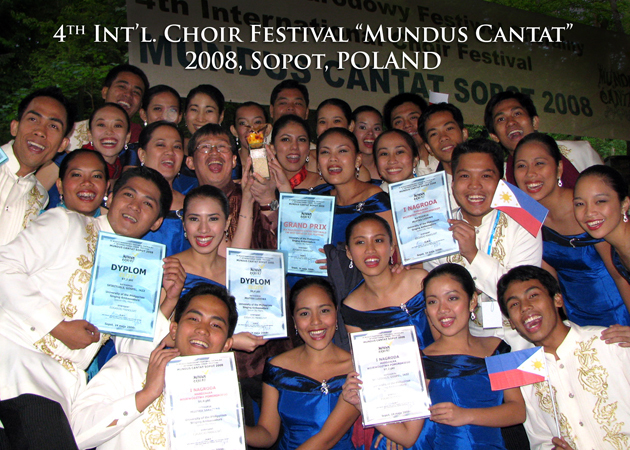 UPSA has performed in many national and international music events; sung for weddings of the Philippines' most prominent families; done back-ups for the country's top artists and JOSH GROBAN in his "Awake" concert tour at the Phil. 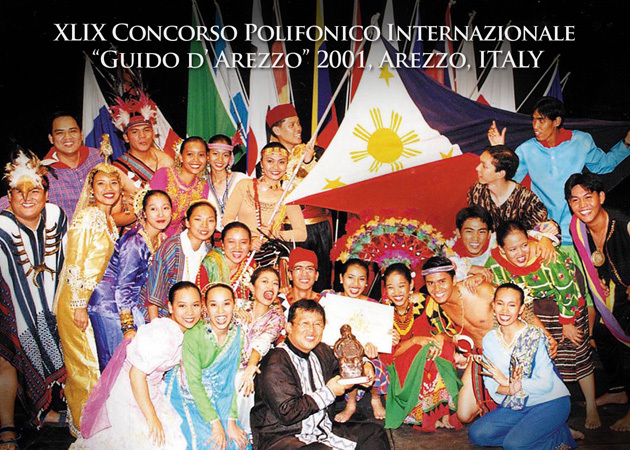 International Convention Center (PICC) in Manila (Oct. 2007); concertized in the most exclusive Petrarca Concert Hall in Arezzo, and Palazzio Vecchio in Florence, ITALY and the Sydney Opera House in AUSTRALIA. Performing music from the Classicals to the most modern genre, UPSA has showcased Philippine culture from the ethnic North and South Philippines which they have presented in EUROPE, AFRICA, ASIA and the USA. The U.P. 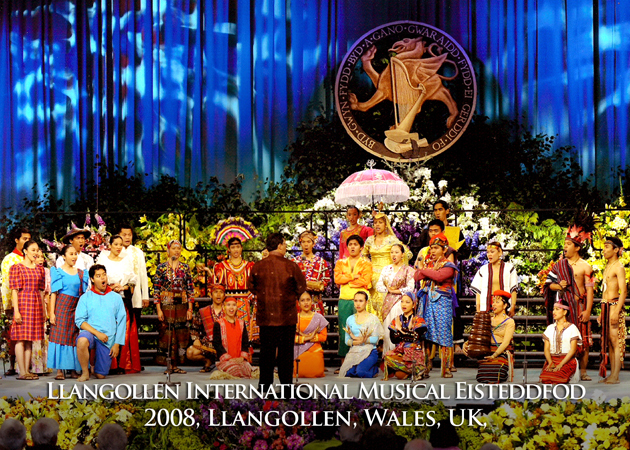 Singing Ambassadors finds fulfillment sharing its music to its regular local and international audiences, and more significantly, to the less privileged who are constant recipients of their musical generosity. 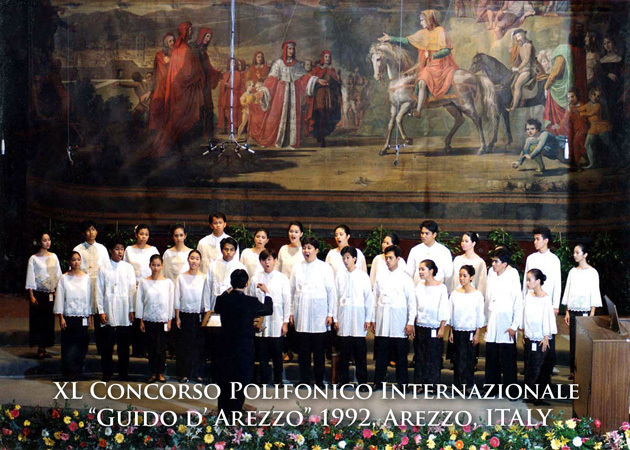 Through its Outreach Program, UPSA does interactive choral workshop/clinics in the Philippines and abroad which have produced winners like the Silvestre Papa Choir of Sora, ITALY (Arezzo, ITALY) and the Loboc Children's Choir of Bohol (Barcelona, SPAIN), among others. It has involved the Choir in fundraising activities for the sick and the needy and also visits hospital wards, home for the aged and orphanages. Now on its 34th year, this amateur choir with professional aspirations and an international prominence finds fulfillment sharing its music to the less privileged who are constant recipients of their musical generosity. 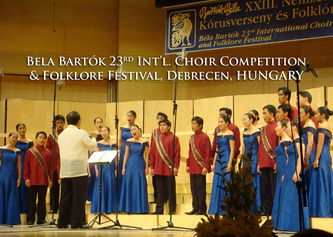 UPSA is one of the University's Performing Groups based in the U.P. College of Arts & Letters. Above Right: The American Church in Paris, FRANCE. The UPSA was invited to sing at the Special Ecumenical Service in memory of the victims of the Sept. 11 Twin Towers tragedy in New York. The specially invited congregation included French President Jacques Chirac, the Prime Minister, cabinet members, the diplomatic community and leaders of five monotheistic religions. Sept. 13, 2001.